What effect does teacher pension spending have on school funding equity? 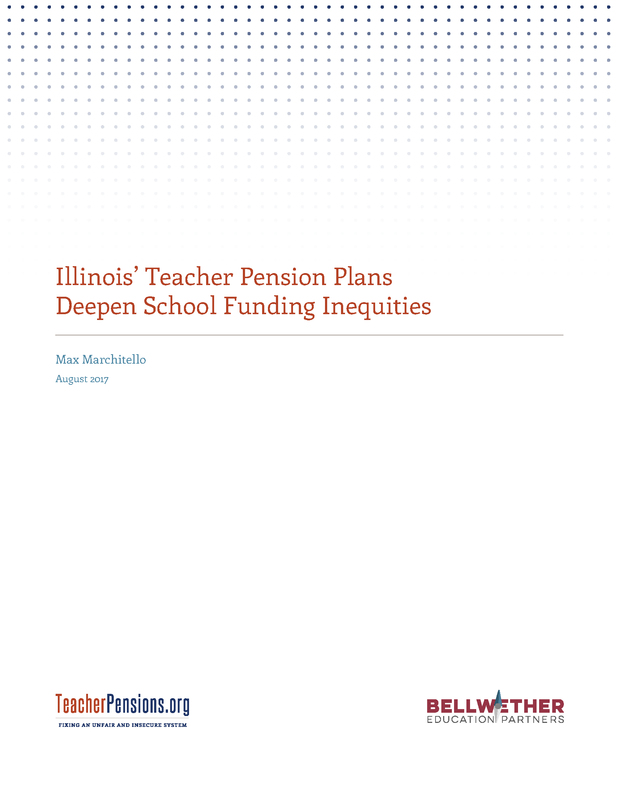 In Bellwether's new report, “Illinois’ Teacher Pension Plans Deepen School Funding Inequities,” we analyze 10 years of Illinois’ educator and school demographic data to track changes in funding equity. Our analysis shows that pension funding is yet another way in which states and districts invest fewer resources in the education of low-income students and students of color. The fact that there is a state pension fund and a Chicago pension fund complicates the problem and causes inequities to increase even more than might have been expected. Among our findings, the most alarming is that pension spending increases existing poverty-based inequities by over 200 percent, and race-based inequities by over 250 percent. These disparities are the product of Illinois’ pension system and cannot be fixed by pouring more money into the funds. In fact, the greater the contribution rate, the larger the inequities become. Given the magnitude of the effect, pension spending should be included in analyses of state school finance equity. Otherwise an important source of disparities can be masked, and efforts to make school funding fairer may be undermined.